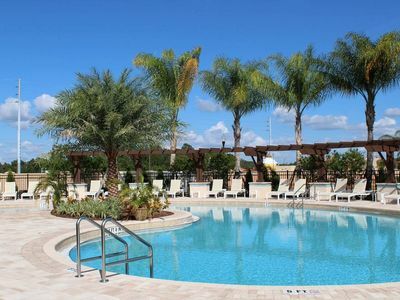 Charming Reunion Resort Condo w/Pools - By Disney! 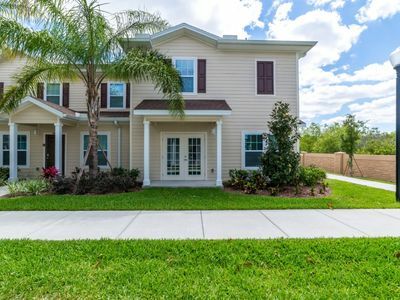 Make memories that will last a lifetime at ‘My Reunion Paradise,’ a 3-bed, 2-bath Kissimmee vacation rental condo! 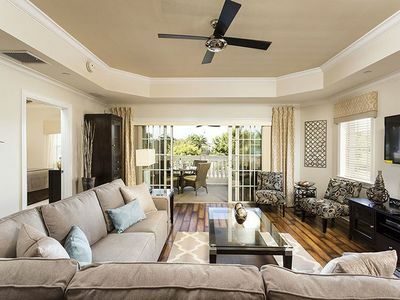 Located in the gated Reunion Resort Golf Course, this well-appointed abode offers sleeping for 6, as well as easy access to the 14 community pools, 3 golf courses, and many more amenities onsite. 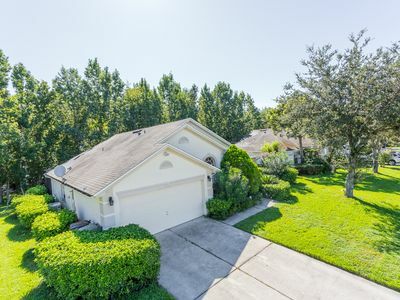 With a terrific location just a short drive to Disney's numerous theme parks and the many popular attractions of Kissimmee and Orlando, this Florida getaway is the perfect home base! 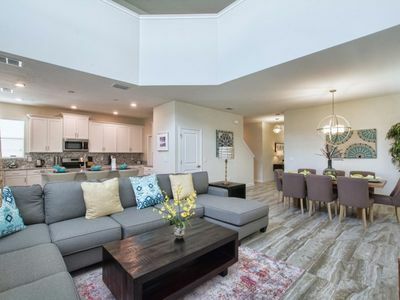 Step inside ‘My Reunion Paradise’ to discover 1,450 square feet of living space and all the comforts of home. 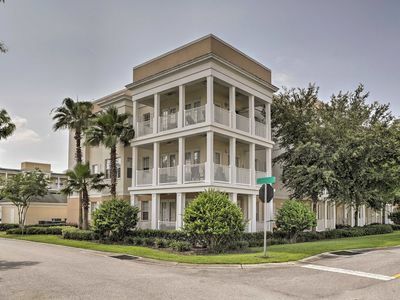 The immaculate interior is filled with several modern conveniences, including wireless internet throughout and a flat-screen cable TV in each room. 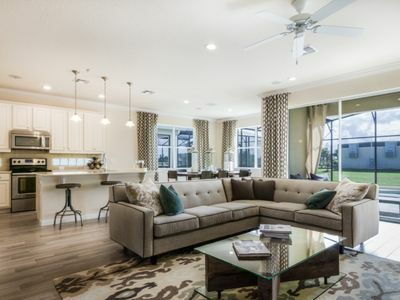 On leisurely days, relax on the fine furnishings of the living room or make your way to one of 14 pools in the community! 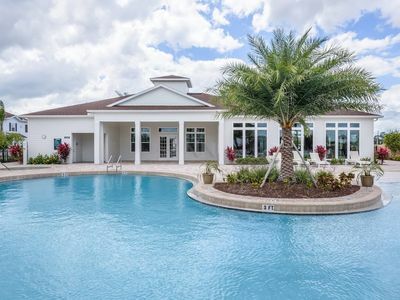 There are many more amenities available at no cost, including a game room, grilling areas, and a playground. 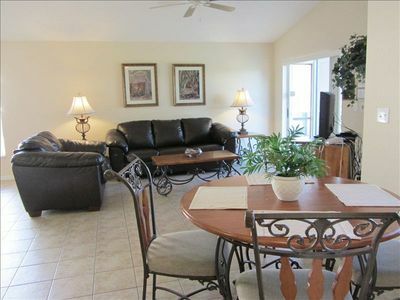 When you get hungry, head into the fully equipped kitchen where cooking endeavors await! 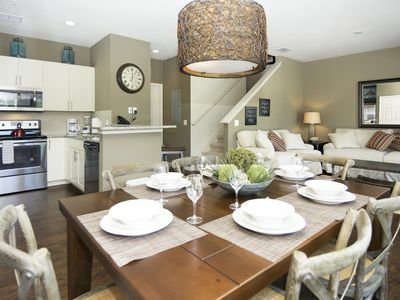 With a breakfast nook, high top bar, and formal dining area, there's ample space to savor your culinary masterpieces. You can also dine at one of the 6 restaurants onsite if you don't feel like cooking! 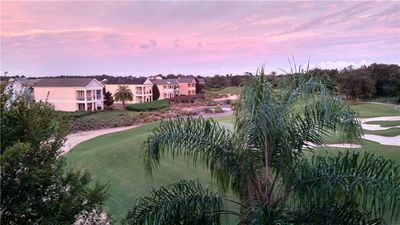 As the sun sets, grab a bottle of wine and lounge on the furnished balcony before heading to bed. The bedrooms host an assortment of bed sizes, including a king, queen, and twin-sized beds, ensuring a peaceful slumber for everyone! You won't want to miss out on the spectacular golf of Reunion Resort, comprised of 3 signatures courses that were designed by Nicklaus, Palmer, and Watson. Also available at an additional cost is the onsite spa offering everything from facials to deep tissue massages. 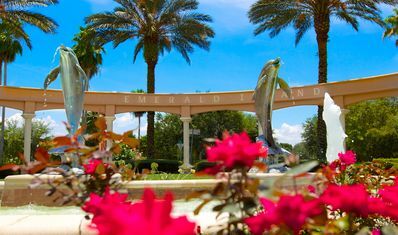 For a day of adventure, pack up the car and head to the many parks of Disney World! 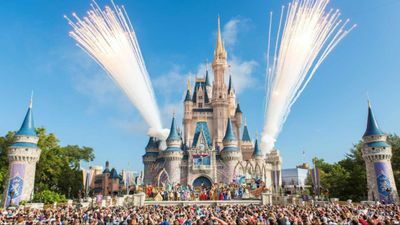 The numerous amusements of Universal Orlando Resort, SeaWorld Orlando, and Kissimmee are also just a quick cruise down the highway. 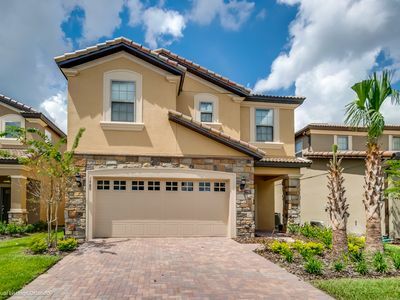 If you want to get some shopping in, be sure to peruse the seemingly endless shops of Disney Springs, Universal CityWalk, or Orlando International Premium Outlets. There are many more attractions dappled all over, such as Fun Spot America and Discovery Cove. 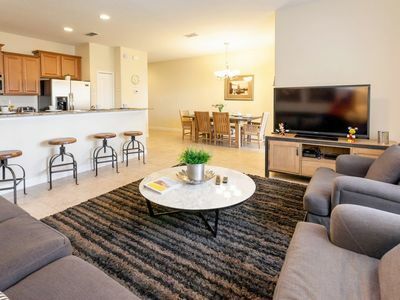 - Amenities include a fully equipped kitchen, 4 flat-screen cable TVs, free WiFi, a phone with free long distance calling, central heating and air conditioning, linens, towels, in-unit laundry machines, designated parking for 1 vehicle, and more! 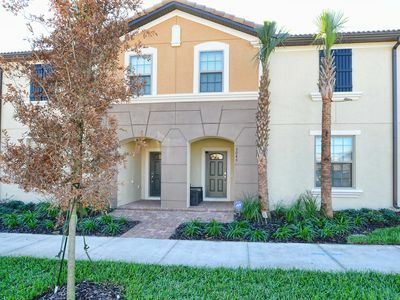 - Amazing Reunion Resort Location - Access to several great amenities and only minutes to Disney World, Orlando, shopping centers, and other Kissimmee attractions! 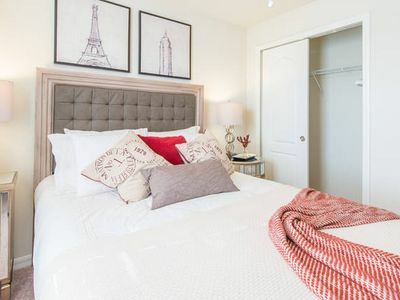 High-End Condo with Games Console, Great View and More Extras! 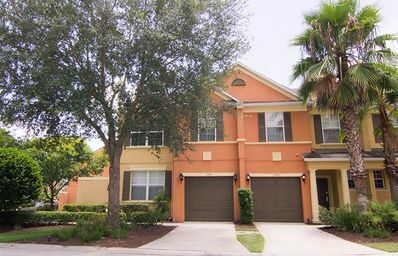 Near Disney! 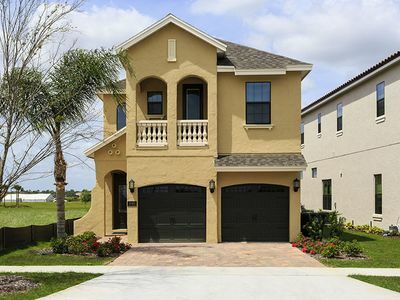 110 BellaVida Resort - Your home in Orlando! 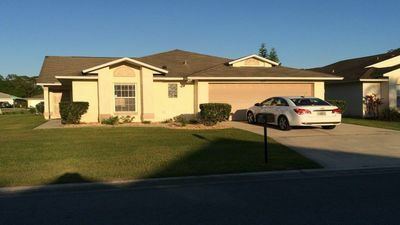 (4PPT89CN21) Amazing 4 bedroom Paradise Palms Resort vacation home!! 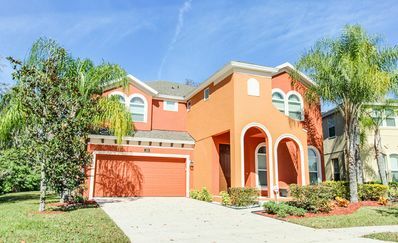 MINUTES TO DISNEY, RESORT COMMUNITY,GAME ROOM, 2 MASTER SUITES, FREE WIFI!